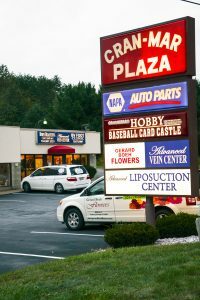 Tour our Podiatry Clinic In Cranberry Twp and Meet our Podiatrist in Moon Twp! Our Foot Dr in Bridgewater and Ambridge Podiatrist are all a phone call away! 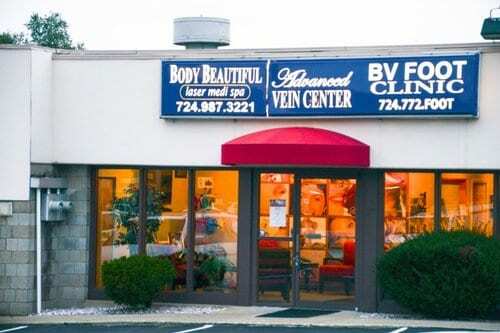 Beaver Valley Foot Clinic has many convenient locations in Beaver, Butler and Allegheny Counties to serve you. All locations are handicapped accessible, with up front parking! We leave time in our schedule for Emergency and Same Day appointments, especially for our Diabetic Patients. We offer convenient before and after school appointments for your child, and lunchtime appointment slots for busy professionals on a break, knowing you have to get in and out! problems each day. 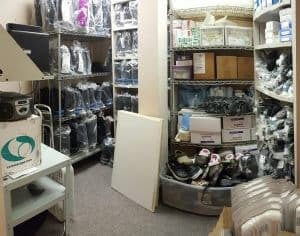 In house we inventory camwalkers, ankle braces, arch supports, surgical shoes and many more products to make it convenient. 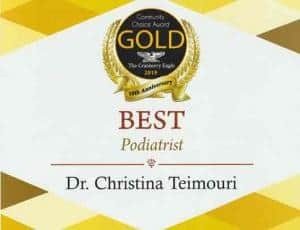 Wait times are short, as Dr Teimouri realizes your time is important too! If you are looking for a foot Dr in New Brighton or a Big Beaver Falls Foot Clinic, our Bridgewater Podiatry office is surrounded by these areas. Need a Foot Doctor in Monaca or a Center township Podiatrist, we are minutes away and will get you in immediately! We also believe in involving patients in their own Podiatric care. Often times employees are unable to wear a Cast boot at work for safety reasons. Dr T listens to her patients needs and will find the correct treatment that fits each patients work requirements.